High visibility of open shelving is ideal for storing packaged stock, and other material without assigned shelf locations. Lapped and welded shelf corners provide added strength and durability. 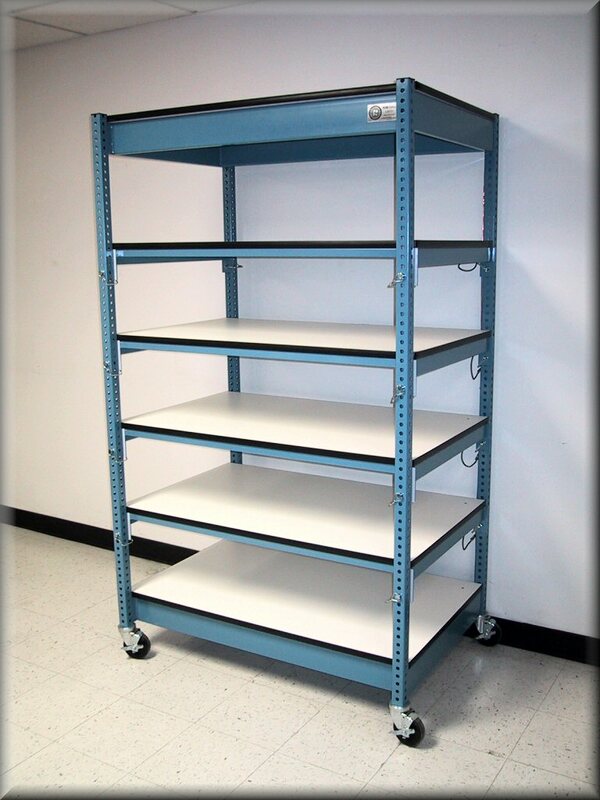 All pre-engineered sections are 36″ wide, 84″ high, with shelves adjustable on 1-1/2″ centers. 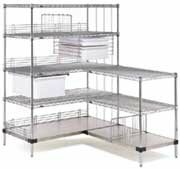 Lyon 8000 Series shelving sections of the same depth and height can be assembled continuously in mixed or matched combinations to meet varying capacity requirements. 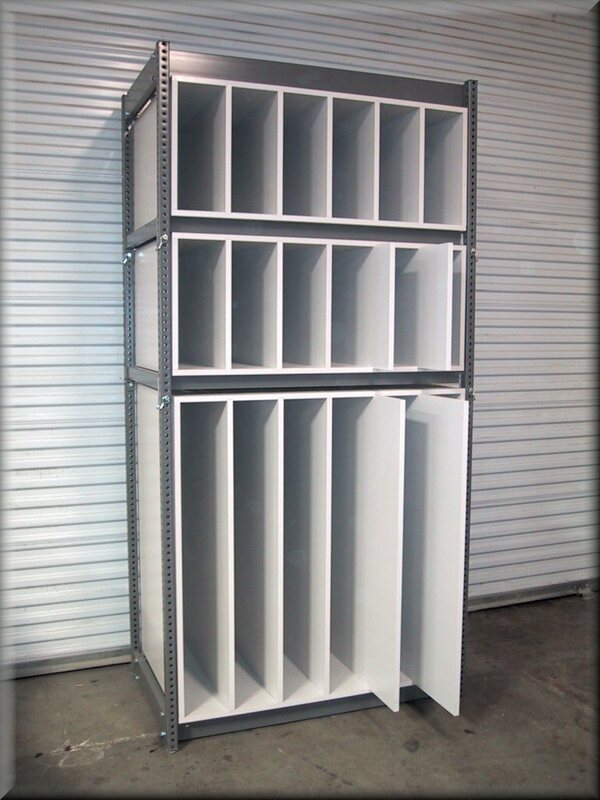 Sections 36″w x 12″d x 84″h, for example, can be combined with 42″w x 12″d x 84″h or 48″w x 12″d x 84″h sections to accommodate different size packages, products or equipment within the same basic system. Protect packages and unboxed items from dust, sunlight and other contaminants. Also use to divide work or storage space into seperate areas. 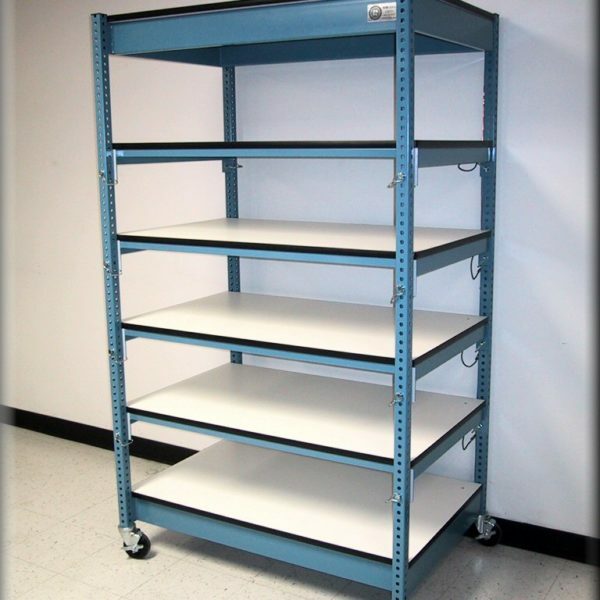 For double row, back-to-back installations, use economical open back shelving on one side, common backs of closed shelving sections on the other side. 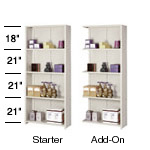 All are 36″ wide x 84″ high with shelves adjustable on 1-1/2″ centers. 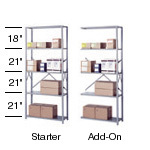 Lyon 8000 Series shelving sections of the same depth and height can be assembled continuously in mixed or matched combinations to meet varying capacity requirements. 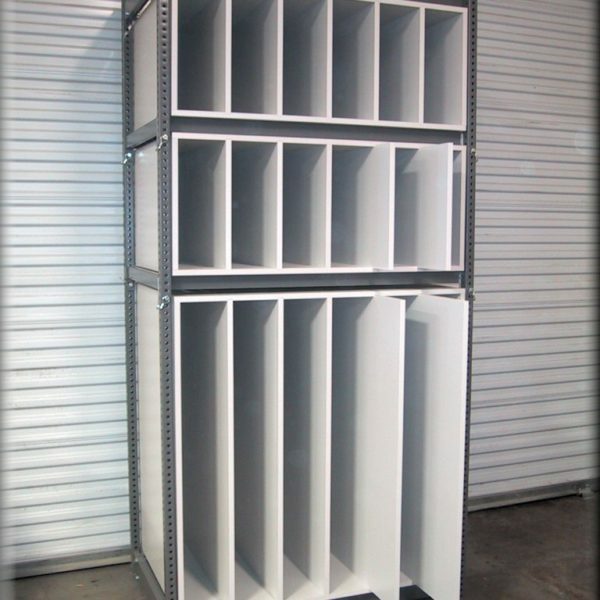 Sections 36″w x 12″d x 84″h, for example, can be combined with 42″w x 12″d x 84″h or 48″w x 12″d x 84″h, sections to accommodate different sizes of tools, parts or products. 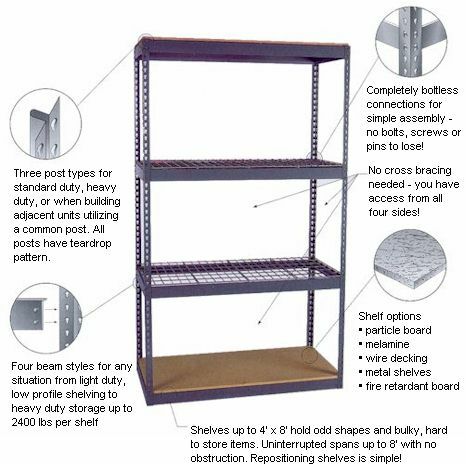 Shelving, Solid (Super Erecta) — 10.20 A highly rigid shelving format, perfect for applications involving spillage or contamination. Shelf design features a raised ships edge on all four sides. Sturdy aluminum castings firmly lock corners to posts. Embossed or louvered/embossed shelf styles allow air circulation. Available in stainless steel or galvanized materials. Use posts to design the perfect unit for your requirements. 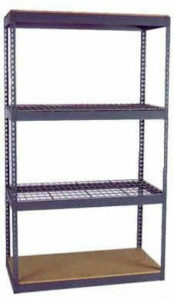 Stainless solid shelving is also available with stainless corners, designed for cart-wash and autoclave applications. Click on spec sheet #52.03 below, for more information.